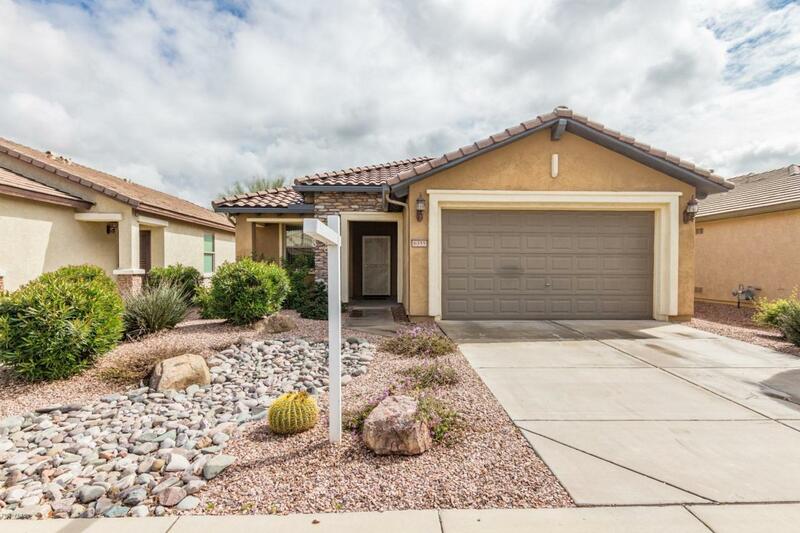 What a wonderful home and price for the quality and fun living in the fabulous 55+ Merrill Ranch. 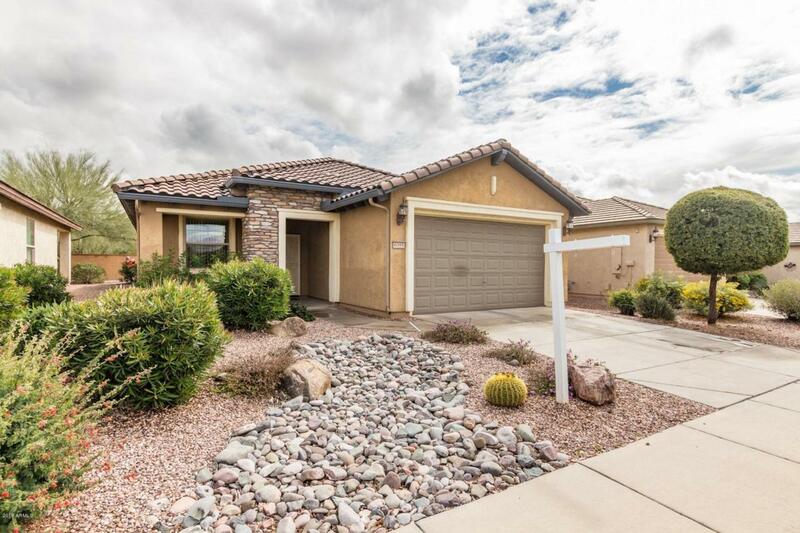 Spotless inside and out upgraded home in the fabulous community of Sun City. Exterior has stucco and stone for a beautiful look.. This Inspiration floor plan has a nice great room with beautiful kitchen, island, newer dishwasher, new microwave, solar panels with lease payment of only $107.00. 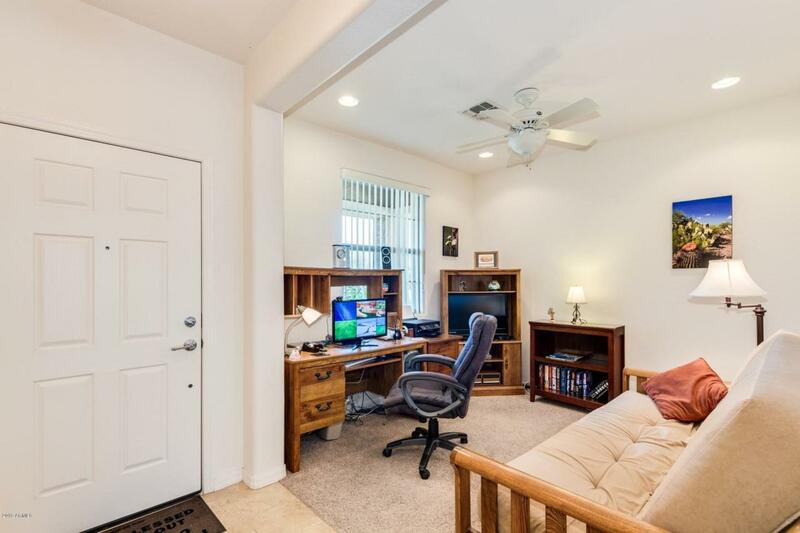 Home has a nice sized den with ceiling fan. 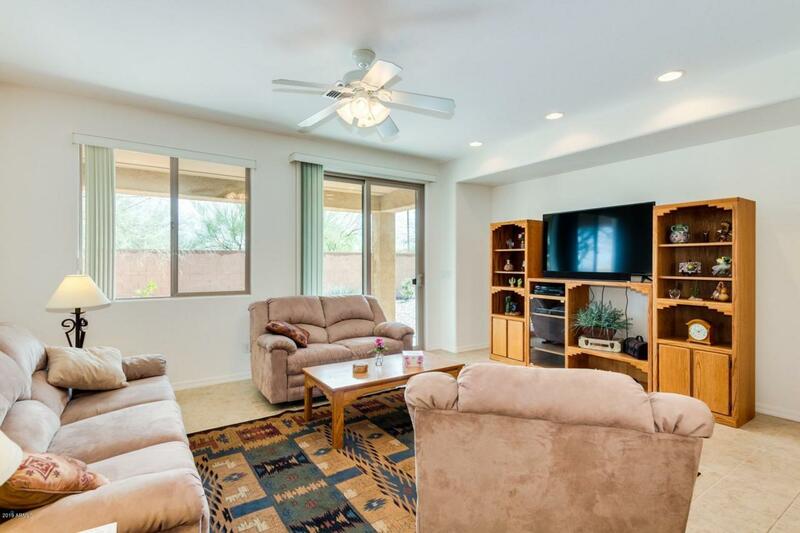 Home is neutral decor with light and bright spaces for those wonderful days in Arizona. Large master suite with bay window, fan, private bathroom, double sinks, and walk in closet. Furniture available on separate bill of sale. Call now to see - homes are selling fast in this community at this price! Cap Imprv Impact Fee 1017.